I would ask if someone asks me for an ordinary first Stronghold who came out and still in 2001, that we upload save game, so I can download it. I just need save game for Military Campaign , and nothing else. if somebody paid her, save game. I would be surprised if no one has uploaded his saved game files to SHH downloads section. Have you tried to find some of the save files there maybe? You can find the link at the forums main page. I hope I understood you correctly? 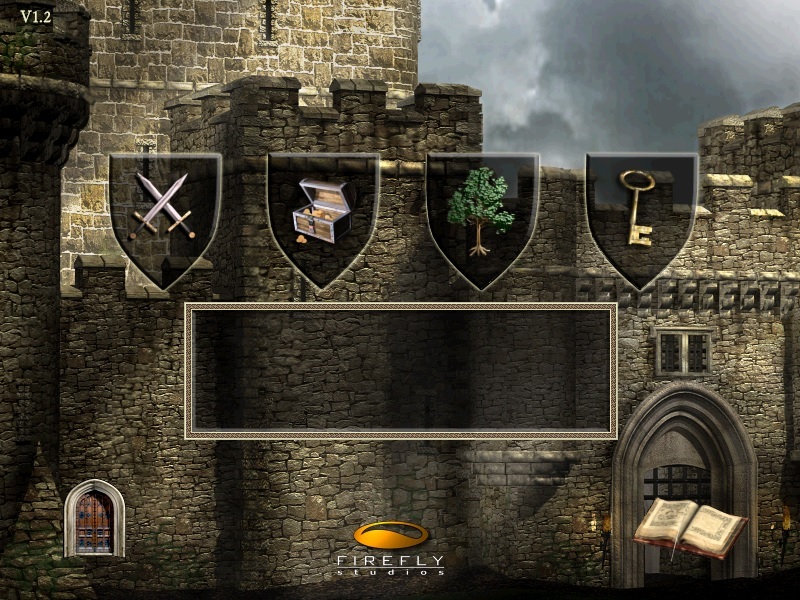 I most much sought after internet for them a month ago and can not find anywhere with this plain stronghold save game I mean this in 2001. And it, this forum also was looking, and no one par, and I'm here on your forums new member so you do not have your own blog, and I really wish that somebody asks me this save game for Military Capaign. za ovaj obican stronghold mi treba sejv gejm za Military kamapanju. Nadam se da smo se sad razumeli ? I am going to translate what you said in English, so others will understand, and we will understand each other as well! Let's speak in Serbian, so whole world could understand us. 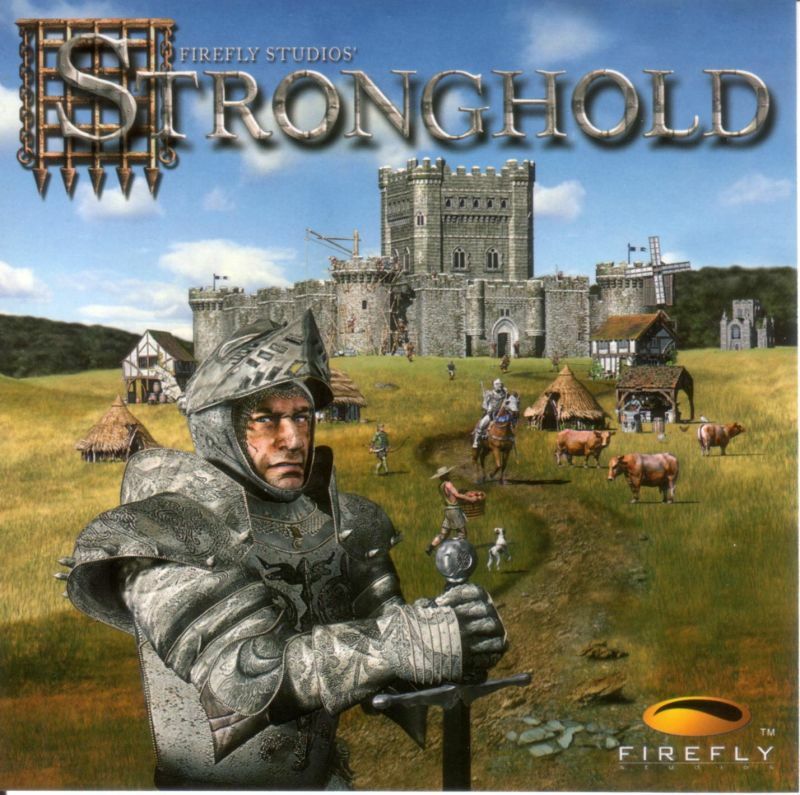 I need someone of you to submit a saved game from military campaign of Stronghold 1. Sure, no problem, now I got it. I will be able to send it to you this evening. By the way, I could send you my config file instead, this way you could have all missions unlocked just as you won them? Naravno, nema problema, pogledacu veceras pred spavanje da ti okacim save game. Inace, imamo dve mogucnosti - mogu da ti posaljem bas save game sa poslednje misije, ili, sto bi mozda bilo bolje, da ti posaljem config fajl sa kojim bi ti sve misije postale otkljucane. Jel ti je ovo drugo bolje? Here it is, the config file.        192.168.1.220  <<< Tako da to nije nista cini mi se ili nesto nidi dobro uradio. Ili mi Posalji neki trejner ili mi posalji bas save game sa poslednje mislije. Ne moras da imas dropbox nalog, samo idi na link, ono sto ti se otvori neki djavo, to samo na X, pa onda na DOWNLOAD. Tako ces skinuti taj .cfg fajl, njega skines, i kopiras ga u svoj My Documents\Stronghold folder i zamenis onaj svoj fajl koji ti tamo u tom folderu stoji (mozes i taj svoj da sacuvas kao backup, za svaki slucaj). Bice ti onda otkljucane sve misije vojne kampanje, i sve misije ekonomske kampanje. I apologize to moderators for writing in Serbian. Yeah, who would say... Actually, we say just like you would say it in English, only we write it differently. Besides this one, we rarely say "datoteka", though that's very very rarely. That's among those words we teach the kids so we could keep our language, though nobody pays attention to that - we all keep using English or German words for a lot of that. For example, we all say "fajl" instead of "datoteka", and we all say "šrafciger" instead of something like screwdriver (I believe it's from "Schraubenzieher", we adopted the word a little). Ne treba da otvaras taj fajl, i nemoj pokusavati da ga menjas, lako ga mozes zeznuti... Mada, opet, nista strasno, skines ga samo opet. 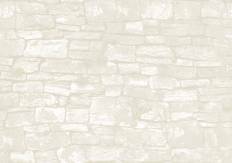 I nisam mislio na taj folder: imas folder gde je instaliran Stronghold, i imas folder od Stronghold-a u My Documents-u. U tom drugom, u My Documents\Stronghold nalazi se tvoj takav fajl, pa taj fajl samo zameni ovim mojim sto sam ti poslao. U tom fajlu se cuva sav napredak iz kampanje, a posto sam ja celu kampanju prosao (i jednu i drugu), tako ce onda biti i kod tebe. 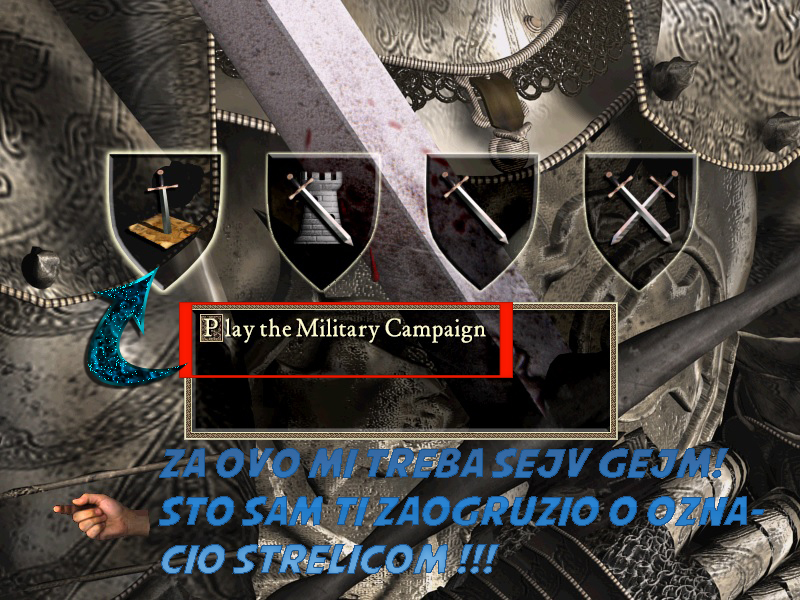 EDIT: Ovo sto imas Stronghold.cfg fajl u ovom folderu na slici... On nije bio tu, tu si ga ti sad smestio, jel tako? On bi trebao da ti bude u My Documents\Stronghold... Tu otprilike gde ti budu sacuvane i mape koje sam napravis.